Hi. 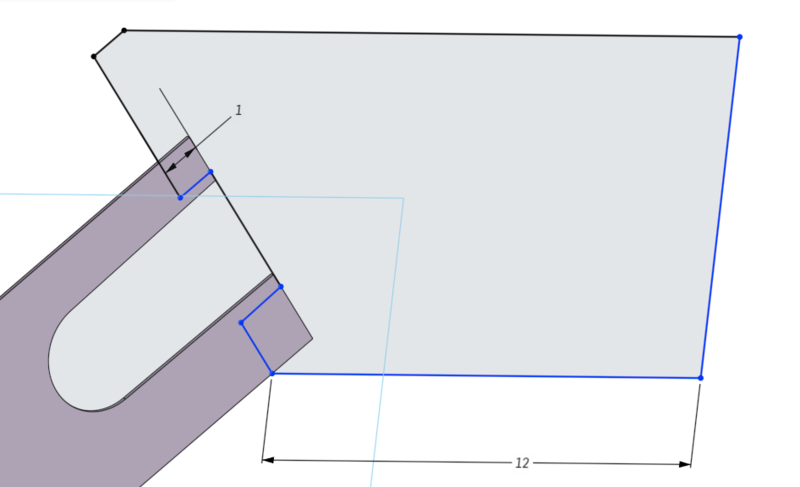 Trying to make a simple sheet metal and it is ripping/cutting the sheet metal along lines never specified. 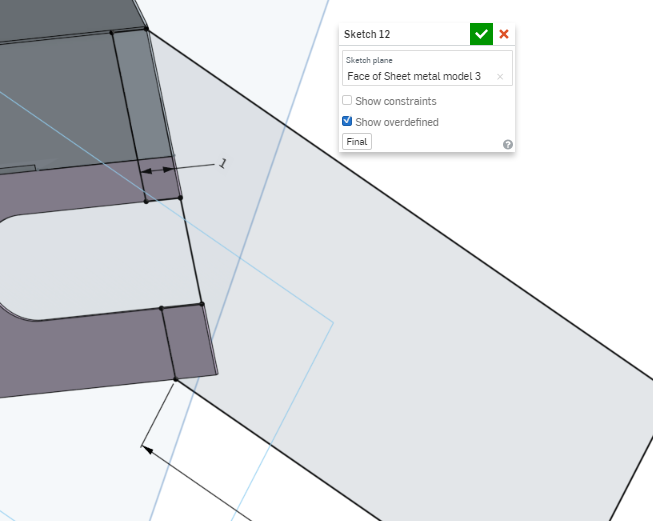 Note: I have selected said sketch using the feature tree and not by clicking on a sketch face. Note: "Fill" command has the same problem. 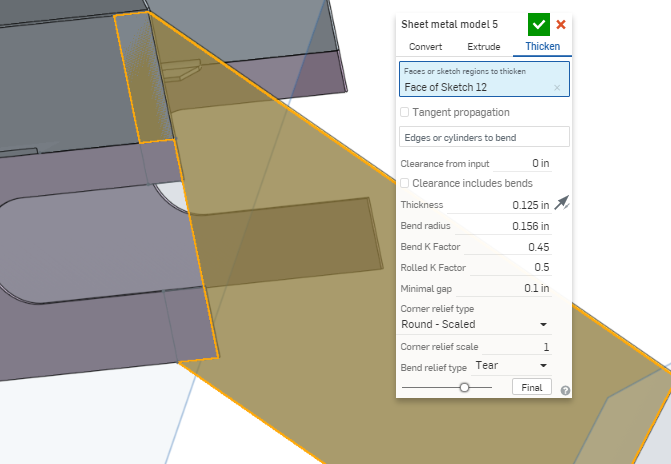 Hi @dan_engerer - there is no need to create a surface - if you create the sheet metal from the sketch (using thicken) then you will not have this problem. 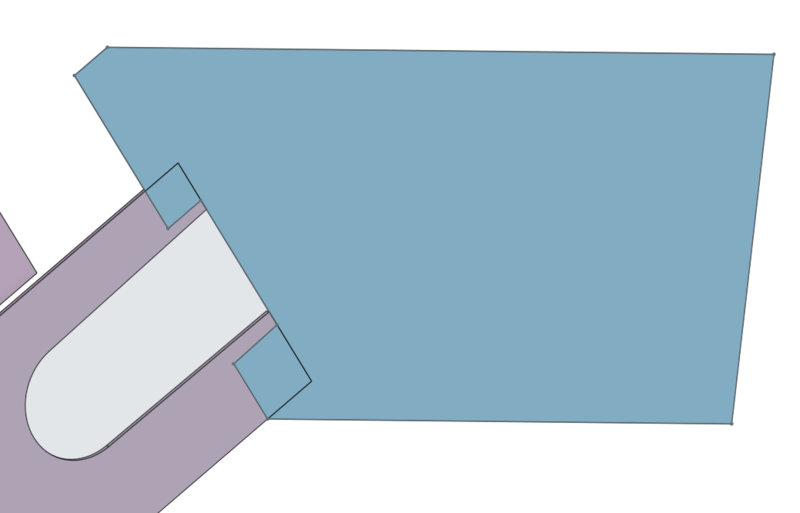 The reason you are seeing this is because you sketched on the face of a part which creates regions. The regions then appear in the surface, which then appear in the sheet metal. 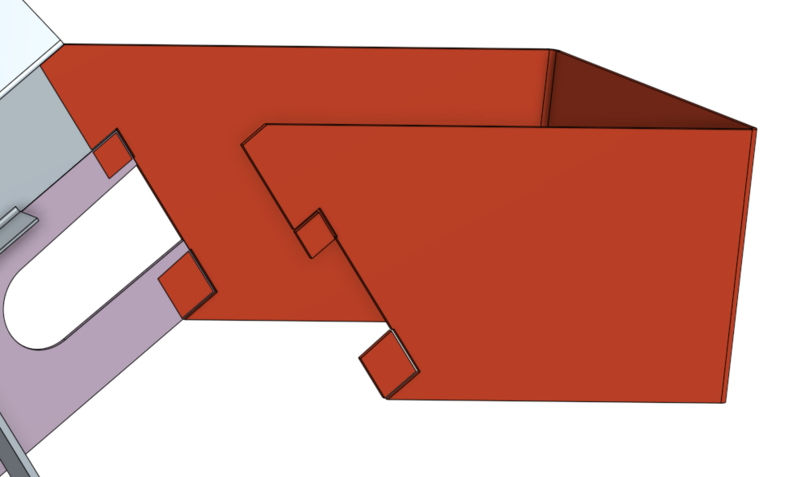 Another way around this is to create a plane on the face of the part then use that for your sketch - then you will not get regions. 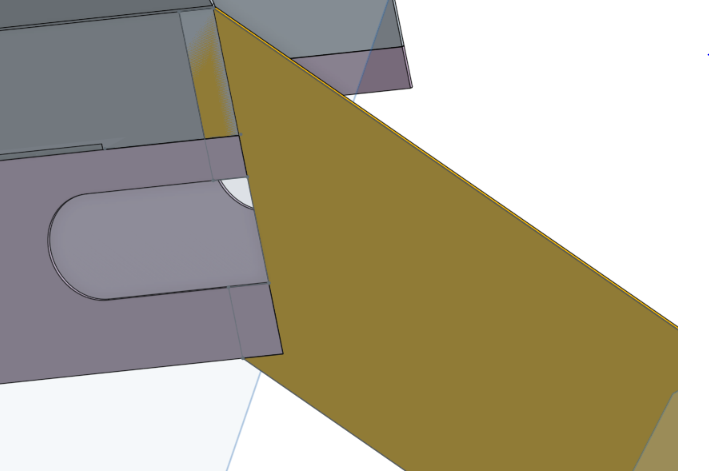 Also I would avoid using "fill" when creating sheet metal parts. 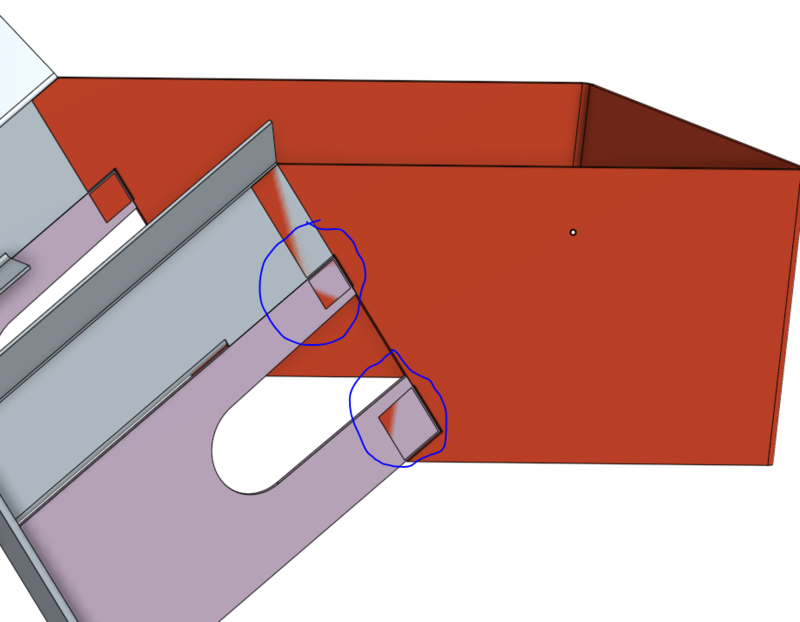 Sheet metal requires all faces (apart from bends) to be flat and fill could potentially create a non-flat surface without you realising it. I had the same problem using the "fill" command from a sketch. Works for me. Can you share your doc with me or support?